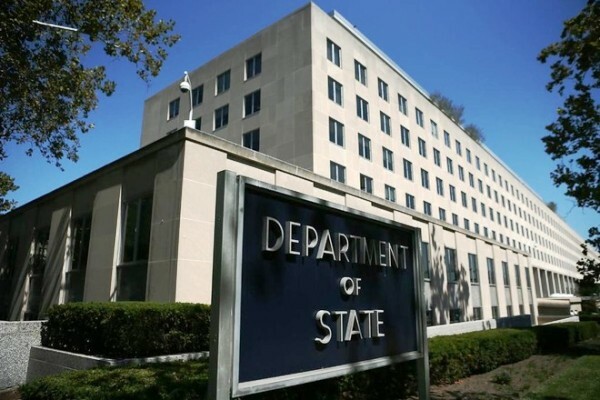 [ltr]The US State Department said the visit "aims to emphasize the importance of Iraq's sovereignty and discuss the future of US forces there." Reuters) - Iraqi Prime Minister Adel Abdul Mahdi said on Tuesday that Iraq's decision was independent and was not affected by any influence and dictates from any party. US Defense Secretary Patrick Chanahan expressed his country's pride in cooperation with Iraq and its satisfaction with security and stability. "The latter received US Defense Secretary Patrick Shanahan, who discussed the development of relations between the two countries, the war against terrorism and developments in the region," a statement by the media office of Abdulmahdi told Mawazine News. "Iraq's keenness on relations with the United States has contributed to the fight against terrorism," he said. "We must abide by the basic agreements, which are combating terrorism and training Iraqi forces, not anything else." Stability, reconstruction and economic development ". "Iraq has achieved clear successes and is now witnessing stability after defeating a terrorist gang that supports the sacrifices of its people, social cohesion and the unity of the Iraqi people. Life in Iraqi cities, including the capital, is better than it was," he said. "Iraq is open to its Arab and regional environment and its keenness to establish cooperative relations that serve the interests of the Iraqis and enhance the chances of development and stability for the peoples of the region," he said. For his part, the US Defense Secretary expressed his country's pride in the cooperation relations with Iraq and his satisfaction with the security and stability he has witnessed. He said that he came to hear directly the Iraqi government's vision of the nature and future of relations between the two countries. "The mission of the US forces is to fight the preaching and training needed by the Iraqi forces, and to support them in eliminating the remnants of an advocate," Shanahan said. The US State Department revealed on Tuesday the reason for the surprise visit of US Defense Secretary Patrick Chanahan to Iraq. "The visit of Patrick Shanahan, Acting US Secretary of Defense aims to emphasize the importance of the sovereignty of Iraq, and discuss the future of US forces there." 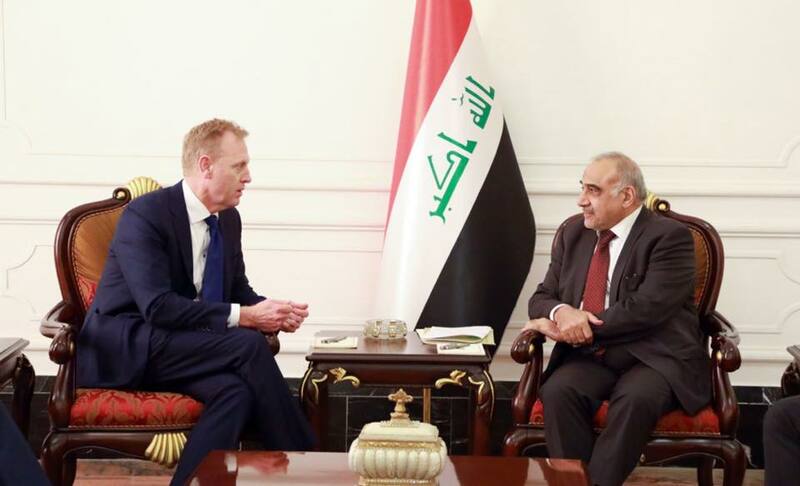 Shanahan is expected to meet with Prime Minister Adel Abdul Mahdi to discuss ways to combat terrorism and share intelligence on the elimination of the Daash organization. The visit comes days after US President Donald Trump announced that he planned to keep his troops in Iraq to "monitor Iran."